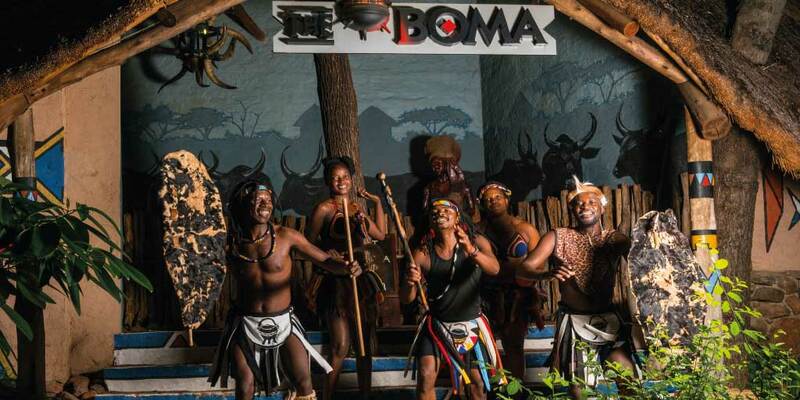 The energy and vibe of The Boma – Dinner & Drum Show will captivate you before you even set foot inside, as at the moment you arrive, you are ceremoniously dressed in your chitenge (sarong), before being welcomed by traditional dancers and a mini face paint. Ladies are given dots on their cheeks to signify the beauty of African women, while men receive stripes defining the warrior look of African men. 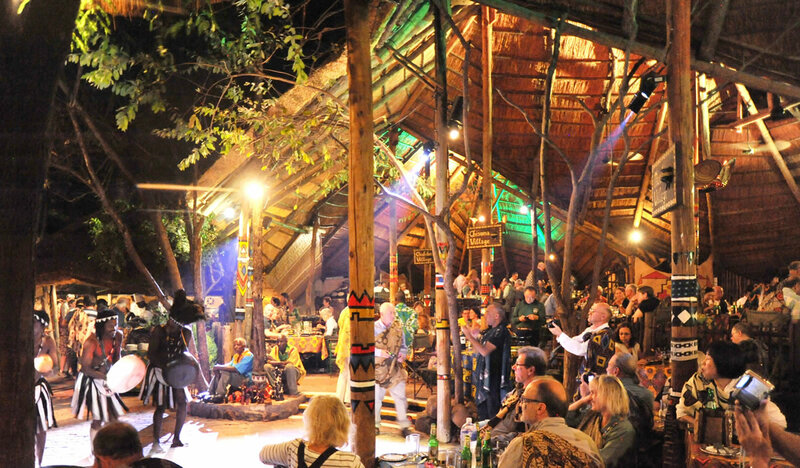 On entering The Boma – Dinner & Drum Show you are ushered into the main enclosure, where your senses will be bombarded by the tastes, sights and sounds of Africa. 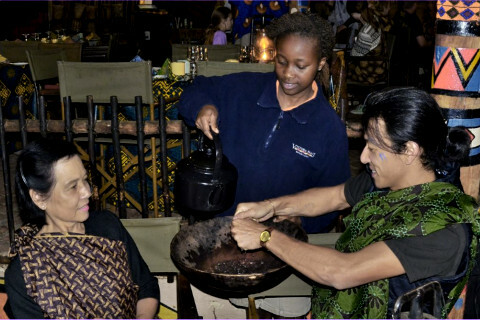 During the feast, the entertainment incorporates mbira music, traditional dancers, a local folk storyteller, a fortune teller, a hair braider, elaborate face painters and souvenir sellers. 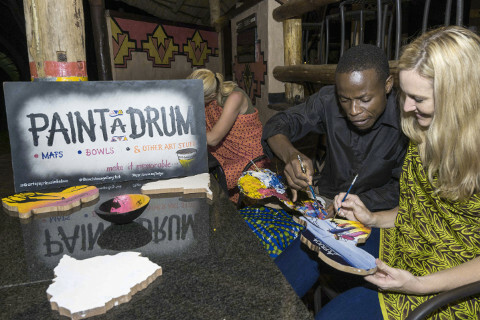 But the highlight of the evening’s entertainment is the renowned energetic interactive drumming show beginning after dinner at 8.45pm. 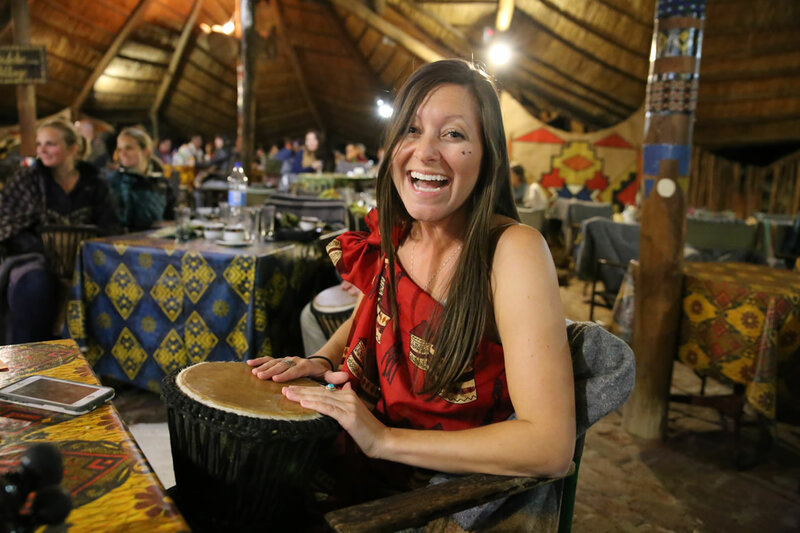 Guests are each handed a djembe drum and given the opportunity to participate in the drumming show by learning a few rhythms. 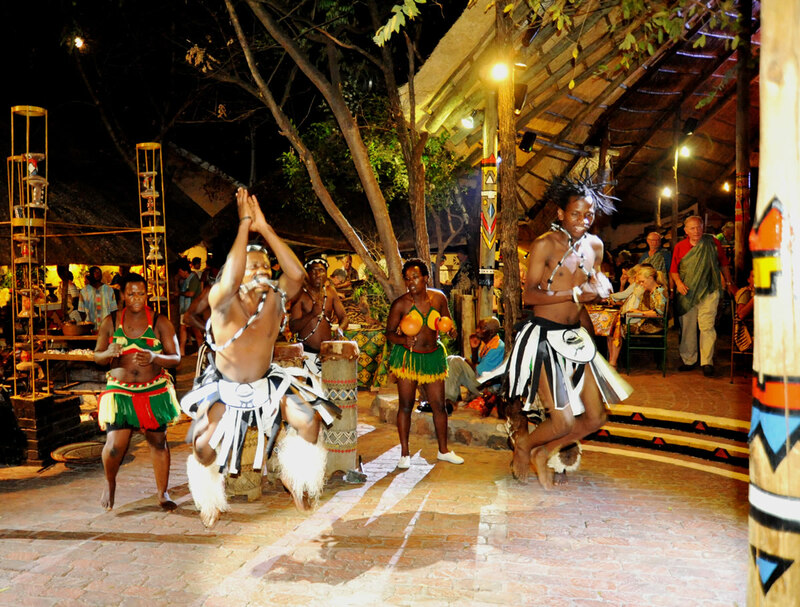 After the interactive drumming show, guests are invited to the dance floor to groove to the beat of the Africa drums. The evening is capped off with a group of acapella singers serenading you with personalised sweet melodies at your table.